This is a local get together for car enthusiasts of all types. Held the first Sunday of every month at Indigo Brew, 14200 R.R. 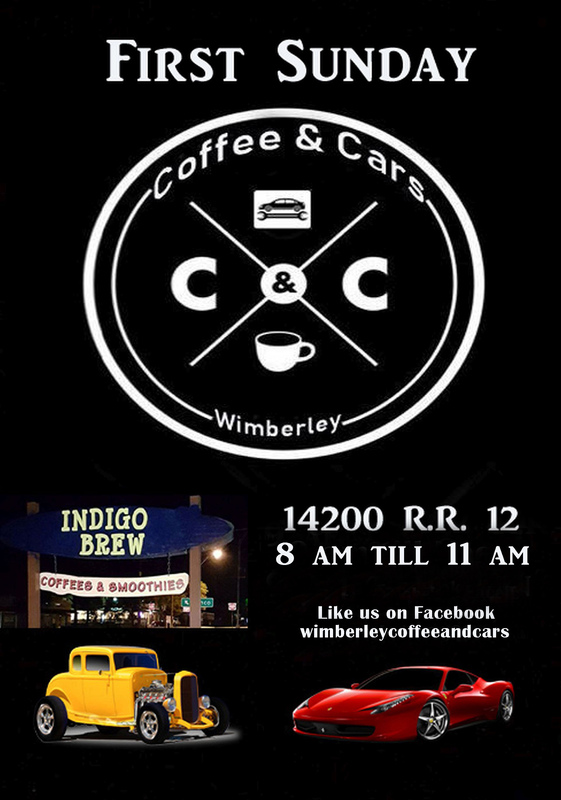 12, from 8 am till 11 in Wimberley. Free to the public and open to all hot rods, classics, modern muscle, exotics, sports cars and bikes.